Feb. 5, 2014, 12:33 p.m.
What happens to sharing when you break the most remarkable 30 seconds out of a 10-minute audio piece? By Eric Athas @ericathas Feb. 5, 2014, 12:33 p.m.
Editor’s note: Public radio produces a lot of audio — but it doesn’t always get the attention on sharing platforms that it might deserve. Our friends at NPR Digital Services want to fix that, which led to a series of experiments. Here, NPR’s Eric Athas shares some of what they found. By now you’ve likely come across Digg’s terrific piece on viral audio. And if you haven’t ventured beyond the headline, it’s worth a read. 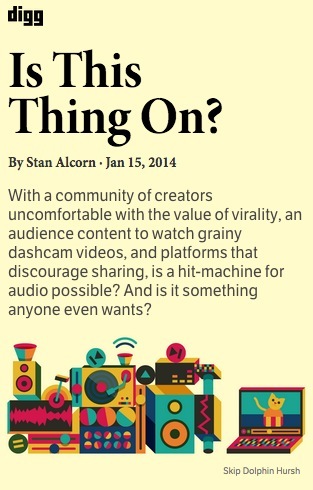 The piece picks apart this question: How come audio never goes viral? That’s a question we’ve been exploring over the past year here at NPR Digital Services. We set out to solve the viral audio challenge and we’ve discovered a few things worth adding to the conversation. What’s keeping audio from going viral? So why doesn’t audio go viral? (Or, as Stan Alcorn points out in his piece, why does it only sometimes?) It’s not because shareable audio doesn’t exist — it does. If you’re an audio listener, you’ve probably heard something amazing, surprising, or funny that you really wanted to share. But in many cases, there are boundaries that prevent shareable audio clips from spreading. Those must-listen, must-share audio clips are often buried within a four- or five-minute story or an even longer podcast. And the only way you’ll happen upon one is by listening to an entire piece. That’s starkly different from photos and written stories, which you can easily stumble upon through social media. This magnifies the challenge of viral audio: What will compel people to not only listen, but to share as well? Let’s say you’re listening to a podcast and you hear something amazing that you want to share. How do you do it? First of all, as Jesse Thorn mentions in the Digg article, you’re often doing something while you’re listening to audio — working out, driving to work, on the train, etc. And “when you’re driving a car, you’re not going to share anything.” Second, shareable audio doesn’t come with context, like a headline and image. This makes sharing in a place like Facebook challenging because a shareable moment within a larger piece can’t easily be extracted as a standalone post. You have to share the entire thing, and signal the exact time to listen. Audio doesn’t translate to the Internet the same way an image, video, or text article does. It’s not produced for the social web, which means it doesn’t have the look and feel of the things we’re used to sharing and seeing on Facebook and Twitter. That’s why NPR and member stations often “webify” radio stories. This process turns an audio story into a text story. What happens if these impediments are eliminated? How can we get more eyeballs (or ears) on audio? We put together a series of experiments to test these questions. We did this by creating digital packages that emphasized interesting sound, not text. For this step, we partnered with eight NPR member stations: KUNC, KPLU, KALW, WLRN, OPB, KUT, WBUR, and WHYY’s NewsWorks. The stations scoured their audio content for clips that just had to be listened to — in other words, the experience of listening to it was better than watching or reading it. This is important: We needed to offer a compelling reason to present it as sound. Once we discovered must-listen audio — which was usually one or two minutes within a much longer story — we plucked it out. The station editor then created a digital package that showcased the sound, including a headline promising a unique listening experience, an image to make it portable on social media, and some text for context. At the bottom, it linked to the full version for listeners who wanted to dive deeper. That’s it. We were careful not to distract from the most important thing we had to offer — distinctive audio. With a published audio package in hand, we wanted to see how it would fare in the wild. We shared it far and wide on the Facebook and Twitter pages for NPR and stations. Then we watched and measured how people responded. When we began this experiment, we focused on five questions to measure the success of each story: Did people share it? Did people comment on it? Did visitors click play on the audio? Was it a popular story on the station’s site? Did it attract a social audience? That’s how we determined whether or not these audio packages were effective. Station editors found all sorts of interesting audio and then created packages for the web. Here are just a few of these stories in the wild. 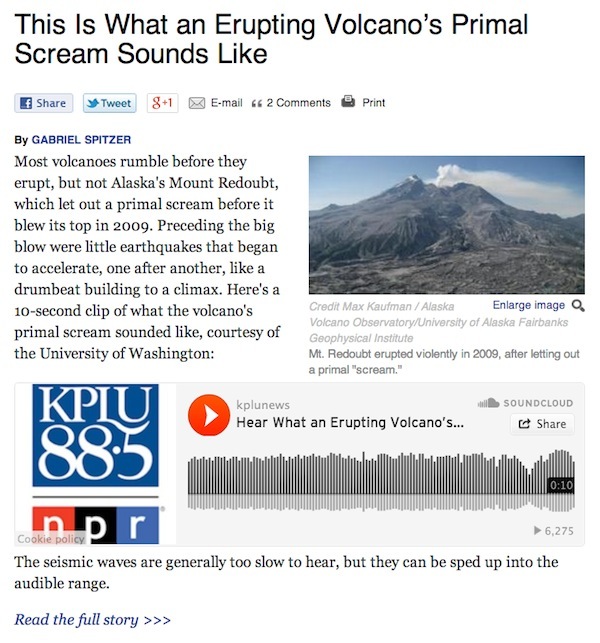 Ever hear a volcano’s primal scream? This 10-second clip was pulled from a longer story by KPLU reporter Gabriel Spitzer. What’s interesting here is that after this was posted on the NPR Facebook page, some people clicked through, listened, and returned to Facebook to share their reactions to the primal scream. “Reminded me of a teakettle about to boil!” said one commenter. This page was the second most popular kplu.org story the week of July 15. Visitors listened to the audio: The SoundCloud clip has more than 6,200 plays. And 98 percent of the visitors came from social media. In 2012, WLRN produced an hour-long radio documentary marking the 20th anniversary of Andrew. The full documentary is chock full of sound from the 1992 hurricane. But this post is packaged around one incredible minute. The visitors, 89 percent of whom arrived from social media, clicked play more than 1,700 times. Notice how the headline promises that you’ll listen to something? People who came across the headline understood that they were getting a listening experience. 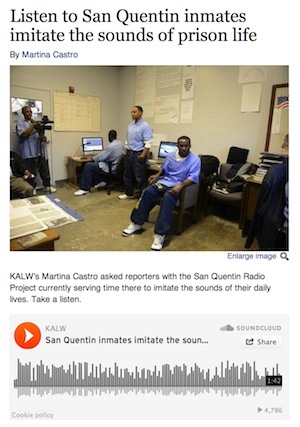 This piece, which was the most popular KALW story the week of October 7, generated more than 4,700 plays. And 94 percent of the page’s visitors came from social media. As you can see, all of these experiments tackle the obstacles we outlined above, making the sound discoverable, portable, and simple to listen to. And although we aren’t ready to draw concrete conclusions based on this series of tests, we’re intrigued. People clicked on these headlines, came from social media, shared the posts, and listened to the audio at high rates. These experiments are just the start. We will continue to examine how audio can work better on the social web. We also plan to expand this project to include other audio formats, such as news stories, analysis, audio, and shows. As we do, we’ll be sure to share ideas, challenges, and discoveries. Audio producers: Have you tried this approach? Do you have ideas for producing audio for the social web? We’d love to hear from you. Tweet at me @ericathas or shoot me an email at eathas@npr.org. POSTED Feb. 5, 2014, 12:33 p.m.
Athas, Eric. 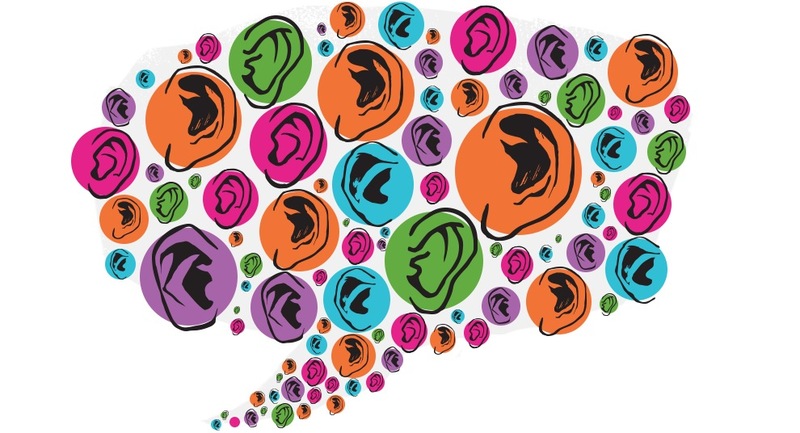 "What can make audio go viral? NPR experiments with building earworms for social media." Nieman Journalism Lab. Nieman Foundation for Journalism at Harvard, 5 Feb. 2014. Web. 24 Apr. 2019. Athas, Eric. "What can make audio go viral? NPR experiments with building earworms for social media." Nieman Journalism Lab. Last modified February 5, 2014. 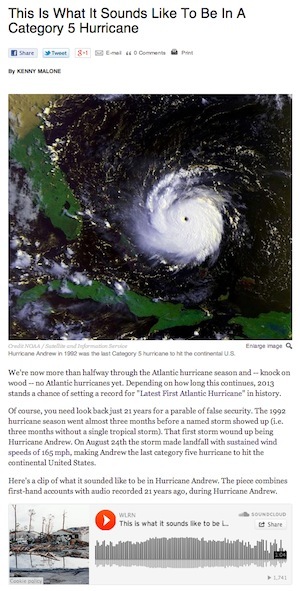 Accessed April 24, 2019. https://www.niemanlab.org/2014/02/what-can-make-audio-go-viral-npr-experiments-with-building-earworms-for-social-media/.